Latest great guest post by Daniel James Coll. 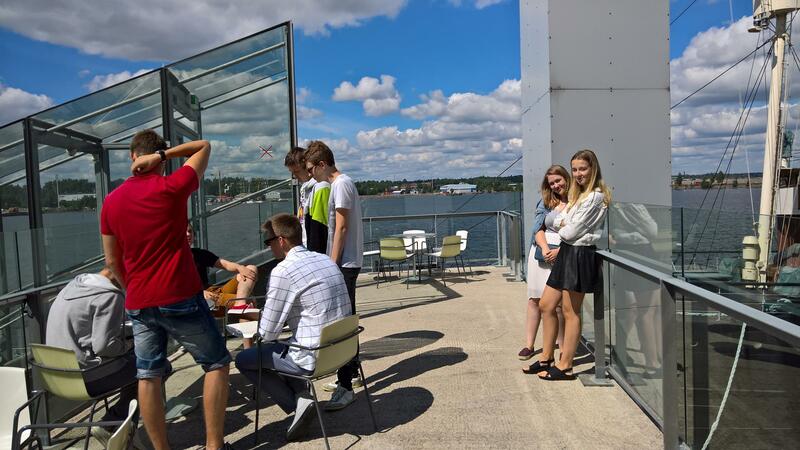 The Startup Passion training and mentoring programme run in partnership with Cursor OY, Finland, has just had their third successful major event. A five-day training course on lean startup, customer development and storytelling, amongst other key topics. Participants drawn from a range countries had the opportunity to strengthen the basic foundations of their startup ideas and gain an even deeper knowledge about the various themes covering the essentials of launching and running a new idea based business at the last in the series of events for the development based competition. Using the Stellar currency platform, they intend to build their product around this emerging technology and then offer this solution to the banks. The team had praise for the programme and the advice, saying that, “there were very good ideas and advice, including about how to pitch, breathing techniques and things that meant I performed better than if I didn’t know that.” They had praise for the mentors too and especially Viesturs. Viesturs Sos?rs, is a serial entrepreneur and business angel who co-founded Real Sound Lab – a globally known audio technology company and as was its CEO for 8 years. He is now co-founder of Ampple, an accessory providing high quality sound for the iPad; he also teaches entrepreneurship at the Stockholm School of Economics in Riga, Latvia. He spoke with us about his well-received contribution to the Boot Camp event, explaining his role in the project as a whole and what makes Startup passion so special amongst a growing crowd of startup fostering and incubation initiatives. He goes on to say that “Isolated ideas are neither good nor bad, it’s about execution, adjusting and pivoting it into something doable,” and Startup Passion really helps with that. The Startup passion programme is set to grow year on year, with plans for another series of events next year, but for now keep watching our social media channels for more news on the winning team, Stellarmus and other events, there is also further information and news on the Startup Passion website, www.startuppassion.eu. Previous ArticleFinTech in Dublin, is Ireland the new centre of the FinTech universe?